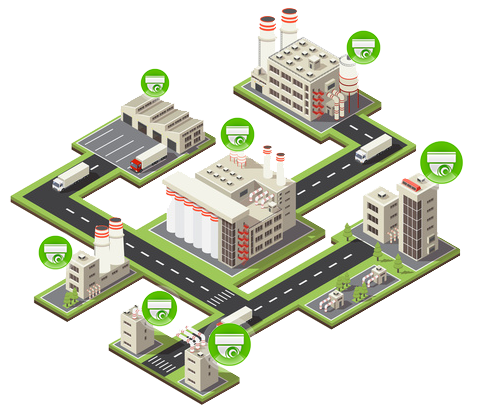 Development of network technologies has created a new approach to video surveillance systems issue. 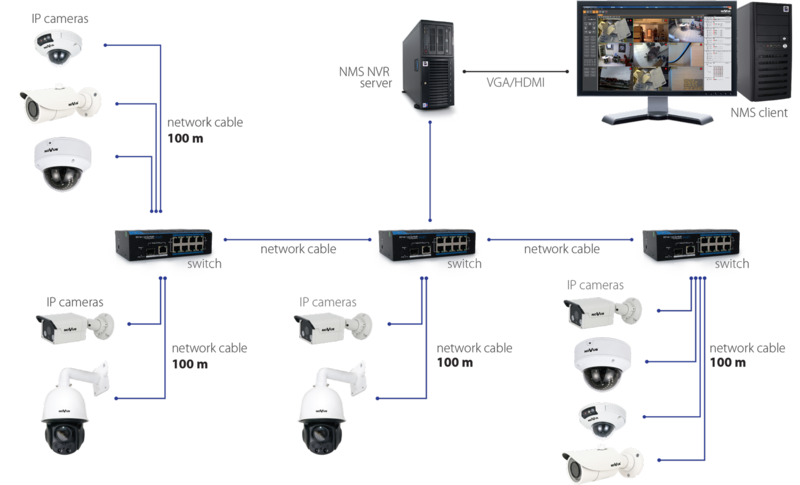 In IP systems all cameras and recorders operate as independent network devices, combined under one common subnetwork. This kind of architecture gives us an endless possibilities of system expansion, limited only by the bandwidth of network connection and by capabilities of devices themselves, or their Ethernet cards. 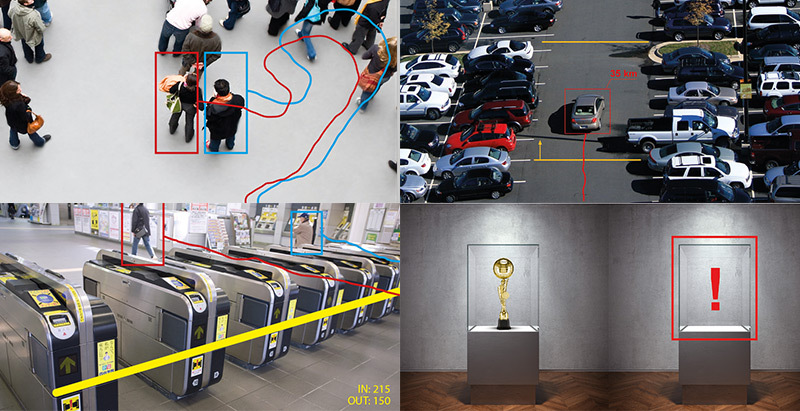 The biggest advantage of IP technology in video surveillance is superb image quality. The signal is transmitted in digital form, thus there are no restrictions known from analog systems. Due to wide offer of IP cameras it is possible to pick the most appropriate camera resolution to the location, size and type of installation. 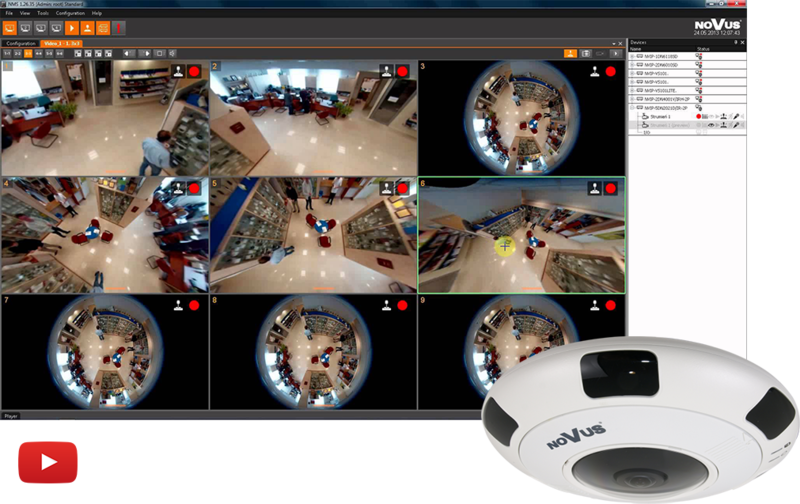 Currently, NOVUS offers up to 12 MPX resolution models, but the implementation of even higher resolution cameras is underway. Based on IP technology, it is possible to build both VSS (Video Surveillance System) systems consisting of hundreds of cameras, as well as small systems of several cameras. While enlarging the system with additional camera points, the only limitation is the efficiency of the server network and hardware infrastructure. Due to the development of the 3G network and mobile devices, the access to cameras' streams in live and playback mode can be carried out using mobile devices from any location. Remote access via a Web browser to the entire system and each camera individually due to a computer network. In the vast majority of IP cameras power supply can be implemented normally via 12 VDC as well as using PoE power supply standard. PoE (Power over Ethernet) enables signal and power supply transmission to the camera via one twisted-pair cable. This reduces costs of system building – there are less wires in use, and there’s no need to use any additional power supplies. The extra advantage is reducing the unaesthetic wiring – it is possible to install monitoring system in furnished interiors without cutting walls. Small systems up to 32 cameras are plug&play and require no additional IP technology knowledge in order to set up and run the system. The above steps can be accomplished without the use of a laptop or PC. Servers are configured remotely via client stations without the need for direct access to the system. 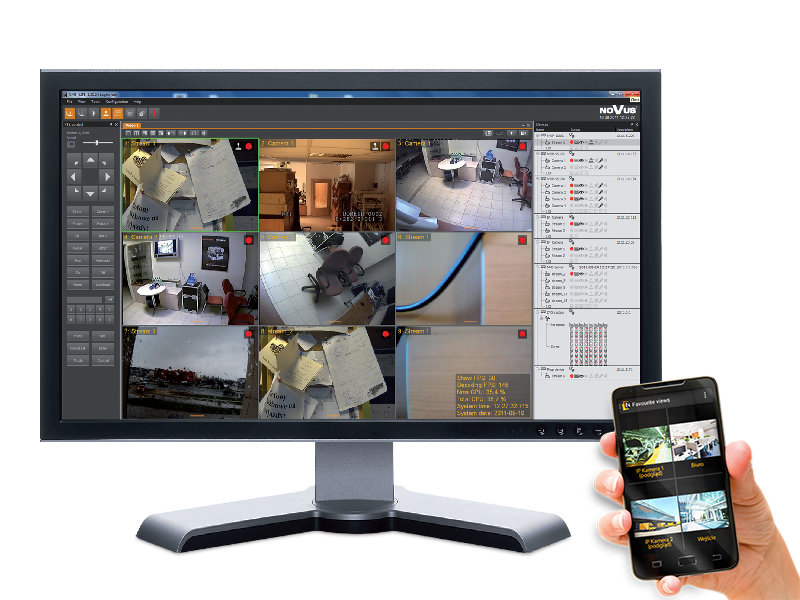 A huge advantage of IP cameras is an easy access to the device using the connection via web browser. Additionally, many camera functions are configured directly from the recorder. IP systems enable distribution of video material sent to the network at streams in different quality. The cameras allow you to set two or more streams. This enables simultaneous recording of the first and second streams, use of the first stream for full-screen viewing, the second stream for split viewing and the third stream for mobile viewing. It provides protection in case of fortuitous events such as damage or theft of the recorder. For recorded data security, the devices can work in RAID mode or duplicate the record on two hard drives. Cameras with „fisheye” lens generate video stream as an omni-directional image. Due to compatibility with appropriate software (e.g. NMS) and digital edition of the stream, you can divide it and create any number of „virtual” views. This enables the observation of entire space using only single camera. It is possible to browse the stream in the same way as from PTZ cameras and due to very high quality resolution the image is very detailed, thus it allows you to make a significant digital zoom. High quality and depth of the video image recorded by IP cameras as well as the efficiency of used imaging technology processor allow to equip IP cameras with advanced image analysis options, e.g. detection of tamper, loitering, crowd gathering, driving in an unauthorized direction and illegal parking, people counting, number plate recognition as well as management of access to parking spaces.